The Pennsylvania Department of Health announced today the first 12 winners of growing and processing permits for the state’s medical cannabis program. At first glance, it appears those who won the permits have teams with experience in successful cannabis operations elsewhere in the country. The permit winners now have six months to become operational, according to a press release. 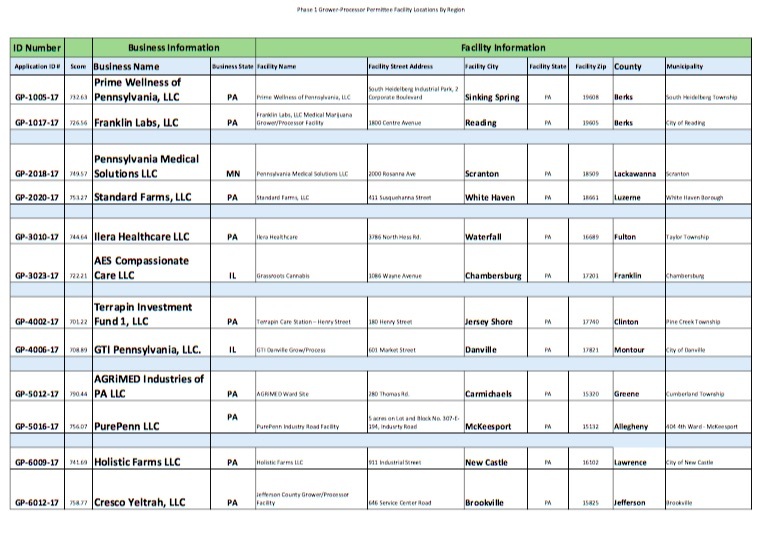 In the populous Southeast region of Pennsylvania, grower/processor permits were awarded to Prime Wellness of Pennsylvania, LLC, and Franklin Labs, LLC. Prime Wellness is a Connecticut-based enterprise. According to Steve Schain, Esq., attorney at the Hoban Law Group, Franklin Labs includes team members from Garden State Dispensary, a successful medical cannabis operation in New Jersey. Two of the businesses that won permits are actually from Illinois, not Pennsylvania. GTI Pennsylvania, LLC (Green Thumb Industries), has a strong presence in Illinois and Nevada. AES Compassionate Care LLC lists their business state as Illinois as well. 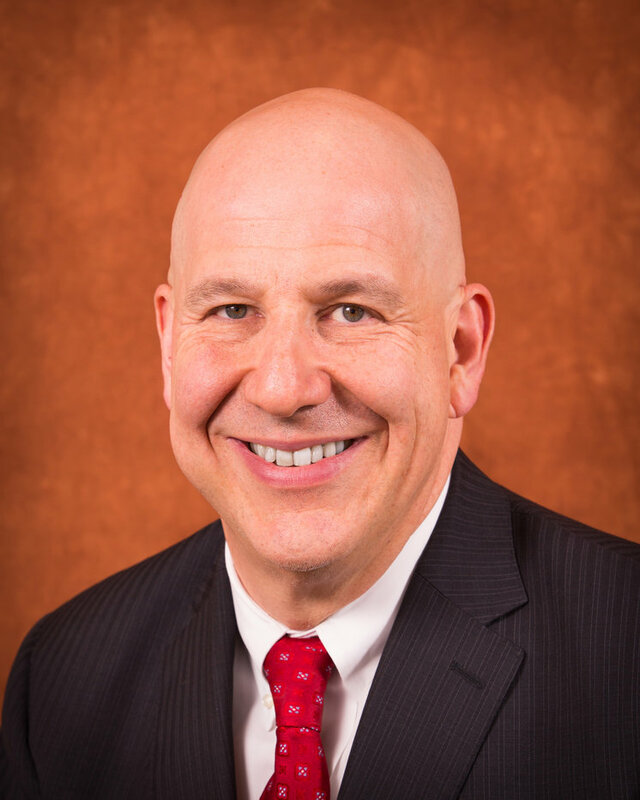 “Based on the first phase award of grower/processor licensees both the strength and weakness of Pennsylvania’s program has been highlighted,” says Schain. 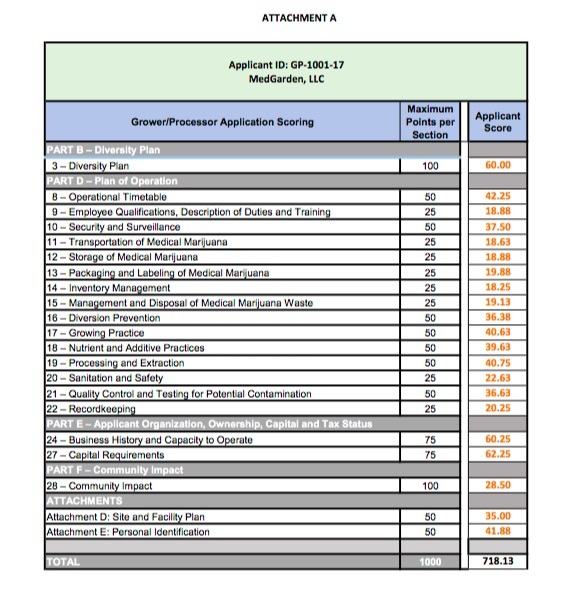 “Many licensee recipients are affiliated with existing national marijuana-related businesses with excellent track records for operating in a transparent, compliant and profitable manner.” The applications were rated on a scorecard out of 1,000 points. “Unfortunately missing from this initial phase license winners are purely regional enterprises who may have been unable to compete with national concerns’ resources and checkbooks.” According to Schain, some of the more significant areas on the scorecard reflect a diversity plan, community impact statement, business history and capacity to operate, capital requirements and operational timetable. 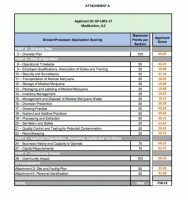 Capital requirements are the applicants’ demonstrable financial resources comprised of at least $2 million in capital and $500,000 in cash. All of the growers are required to grow indoors, not in a greenhouse or on an outdoor farm. There is also a ten-day appeals process for scorecards that will undoubtedly be utilized by companies that were not successful in their bids. The next phase, according to Schain, of Pennsylvania’s Medical Marijuana Program regards “Clininical Registrants” in which grow/processor and dispensary licensure will be awarded to eight applicants, which, if able to satisfy requirements including demonstrating $15 million in capital, will be authorized to open up to six dispensary locations.